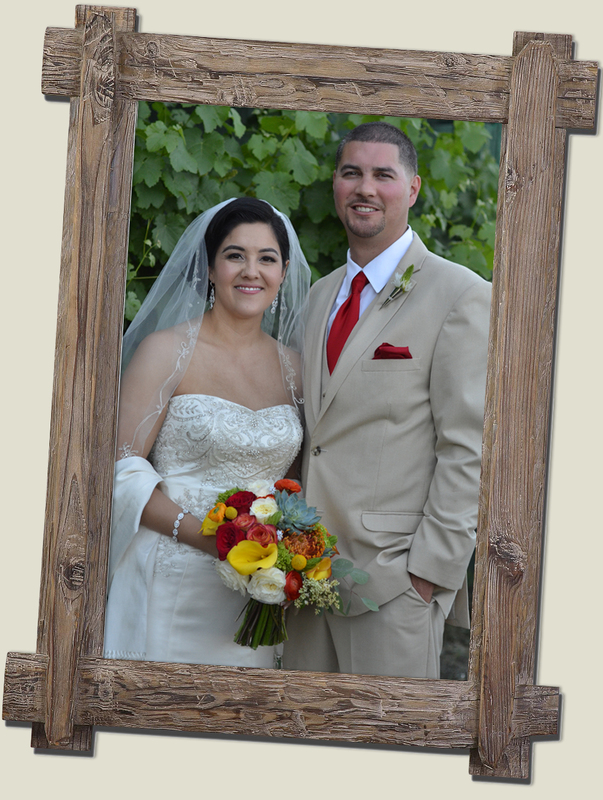 Wedding Theme: Diana did a fabulous job marrying a garden wedding with traditional Mexican details. Family Affair: Diana’s talented sister took care of the flowers for the wedding. On Friday she traveled to the flower mart in S.F. and was up to the wee hours of the morning before the wedding putting together the gorgeous bouquets and arrangements. Houston, we have a problem! : Houston is one brave guy! He committed the major no-no at a wedding — he smashed the cake in Diana’s face! Good thing she was such a good sport! Great Idea: Diana created her own ceremony arch out of giant paper flowers that she handmade. You’ve gotta check out the preview clip below to see how fabulous it turned out! Fabulous Vendors: Racheal Pavkovic (www.ladyoflightphoto.com) was a pleasure to work with and her creativity made for some gorgeous candid footage. Our day was also made easier thanks to the hard work of the gals from Stylish and Savvy weddings (www.stylishandsavvy.net).